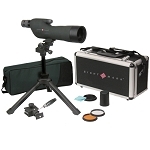 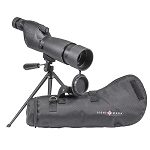 The Solitude 11-33x50SE Spotting Scope Kit is ideal for a wide range of applications including target shooting, game scouting/tracking, police surveillance, or sniper spotting. 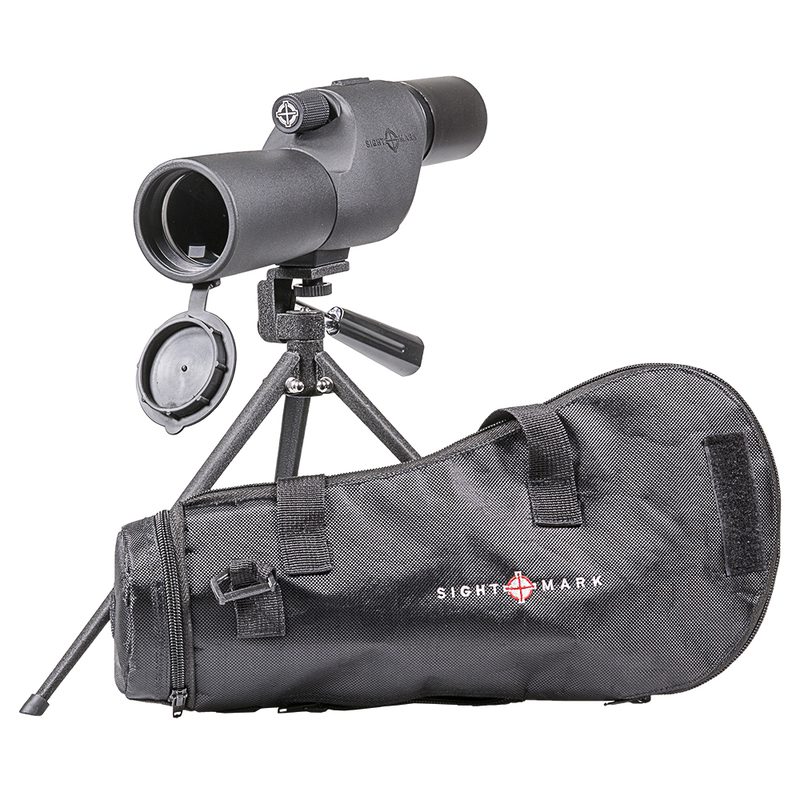 Built with quality materials in a variety of ranges, Sightmark spotting scopes are designed with comfortable eye-relief for long periods of use.All spotting scopes come equipped with a versatile tripod and carry case that keep the optics protected in the field. 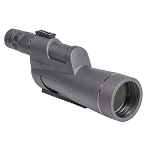 Designed with a straight eye piece and rotatable mount ring, Sightmark spotting scopes feature an advanced aluminum prism coating for optimal light transmission. 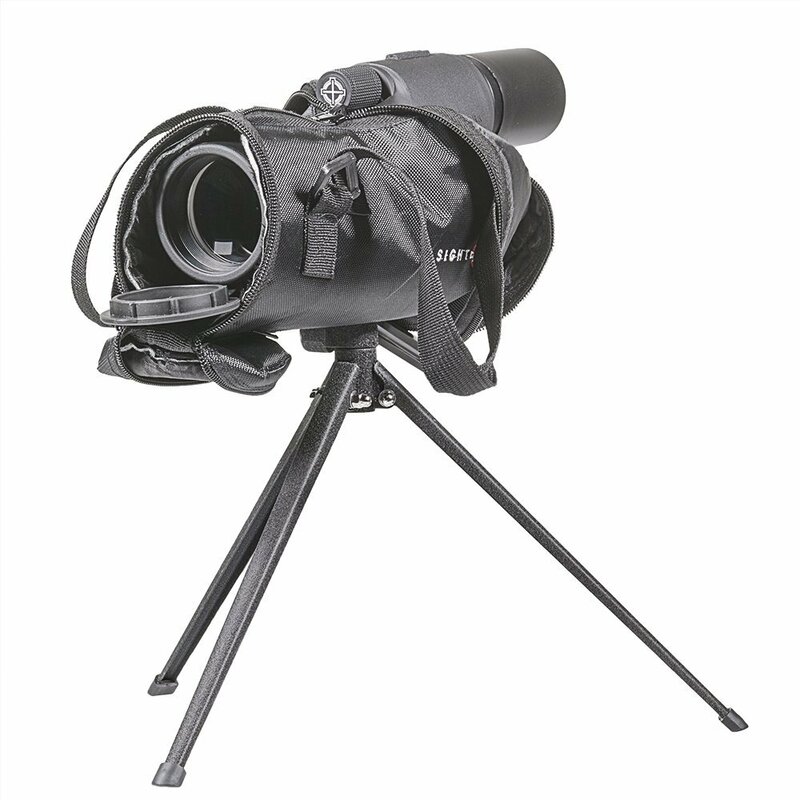 The Solitude spotting scopes are developed with a porro prism optical system to provide a wide field of view to easily scout and track game. 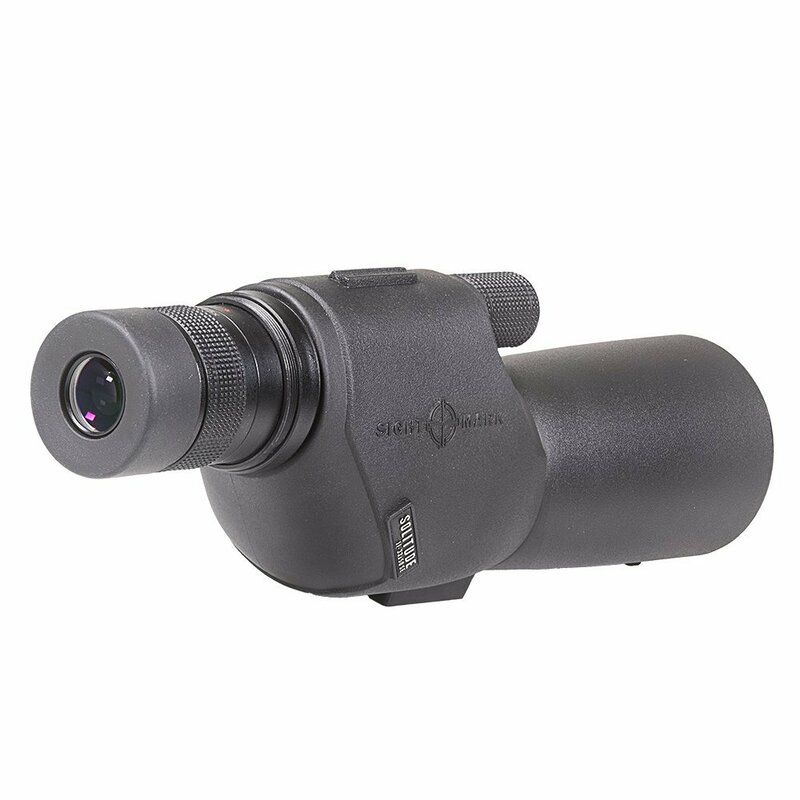 The straight eyepiece design allows users to comfortably spot for long periods of time, in many conditions. 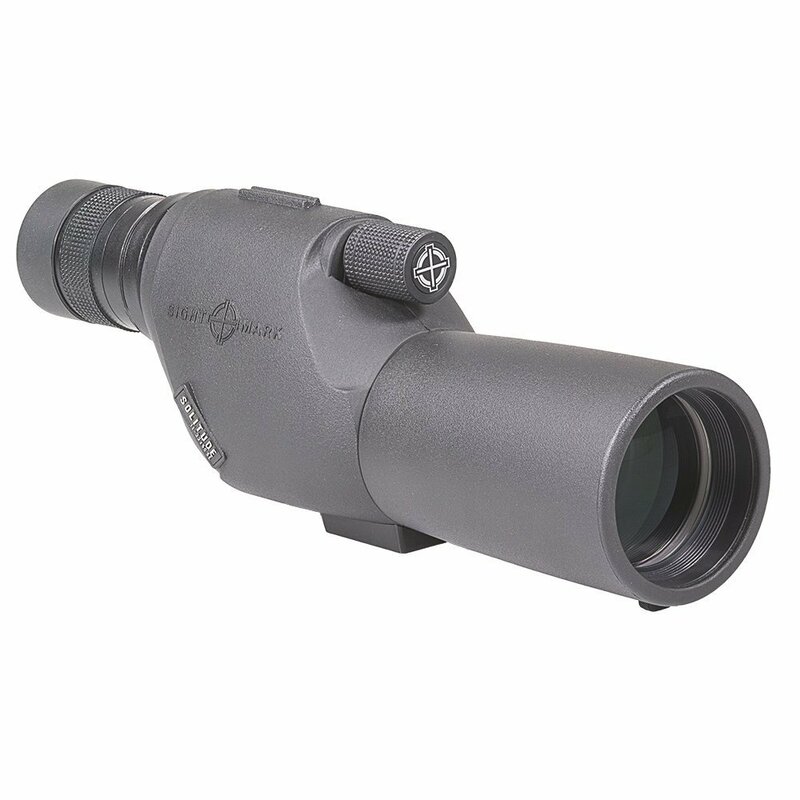 Sightmark spotting scopes boast a rugged, lightweight, rubber-armored body that are nitrogen-filled and O-ring sealed, making them waterproof and fogproof. 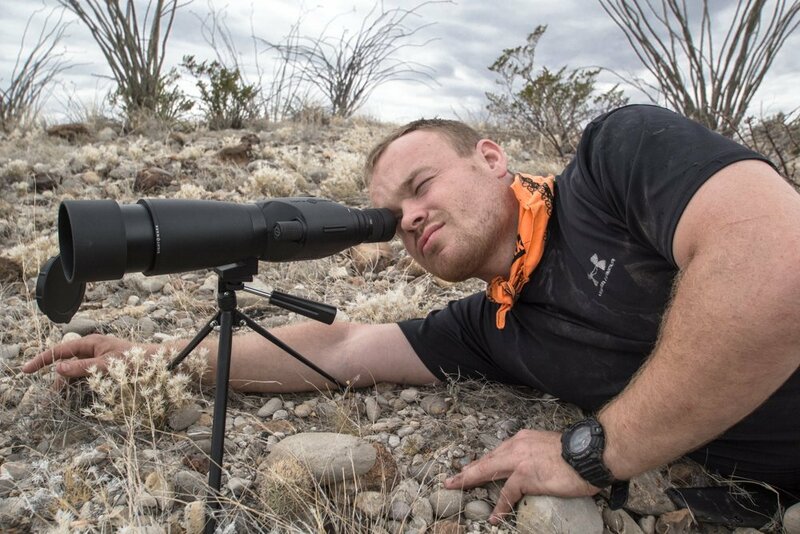 Adjustable eye cups provide a comfortable, custom fit for all users whether they are wearing glasses or not. 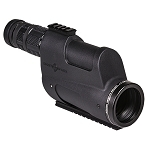 Featuring a dustproof construction, Sightmark spotting scopes are exceptionally reliable for a lifetime of use.